Offer Details: There are two tasting flights to choose from: $15 Mixed Flight or $25 Red Reserve Flight. Purchased in 1972 & only the third winery in Santa Barbara County, Zaca Mesa became a pioneer for the wine industry in the region . After several years of trial and error, Syrah was planted in 1978. Unbeknownst to the early winemaking team at the time, this block would become what is today the renown Black Bear Block, the oldest Syrah block in the Central Coast. Thanks to that famous planting we became a Rhone house, specializing mainly in Syrah & other Rhone varietals. 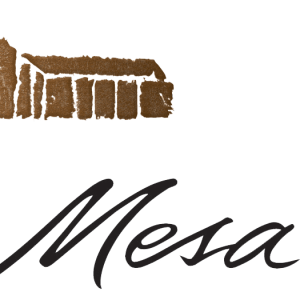 Over the 40 years, Zaca Mesa has become the training ground for many great winemakers and is now known to the locals as Zaca University. Our current winemaking team consist of Kristin Bryden-Head Winemaker, Randy Gardenhire-Assistant Winemaker. Our vineyard is located in the northern most portion of the Santa Ynez Valley AVA within Santa Barbara County. Since 1997, we have focused on growing Rhône varietals like Syrah, Grenache, Viognier, & Roussanne to name a few. With the exception of our Homage Collection, all our wines are estate grown & bottled to ensure our unique terroir is expressed in every bottle. What about the Homage Collection? Our Homage Collection is our way to pay tribute to the wines once grown on our vineyard by selecting local premier vineyards to source our grapes from. Currently our Homage Collection consist of Pinot Noir, Cabernet Sauvignon, Pinot Blanc, & Chardonnay. Find out more about our wines here. Visit our site here for the most up to date list of EVENTS!